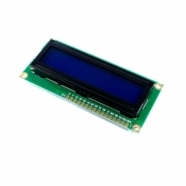 1602 LCD Display is 16 characters wide, 2 rows character LCD module with HD44780 equivalent controller. 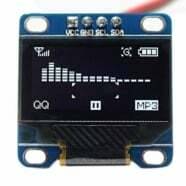 It can easily be controlled by an MCU device such as Arduino or Raspberry Pi. 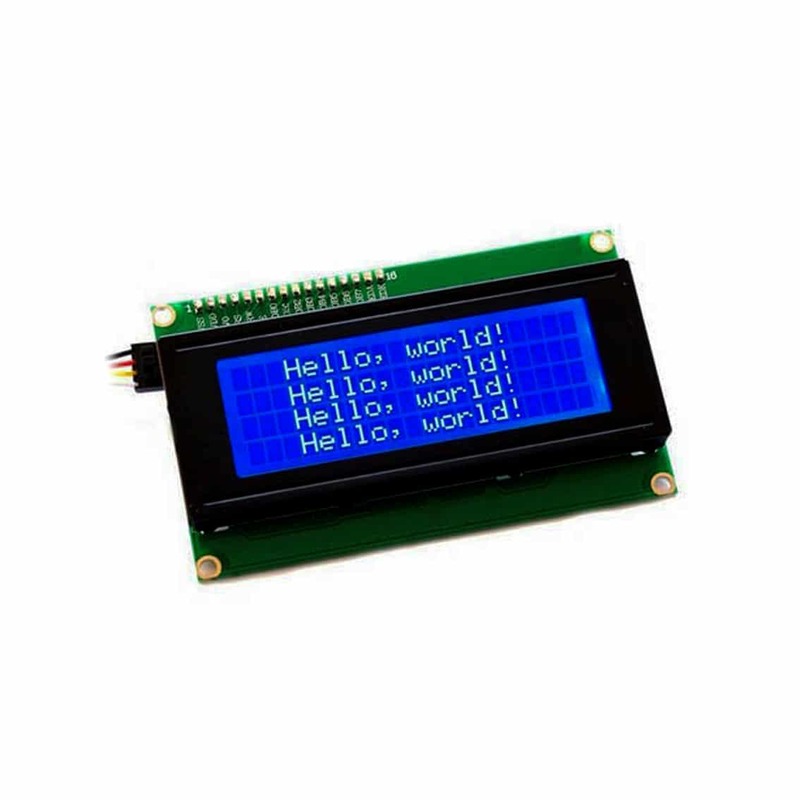 1602 LCD Display is 16 characters wide, 2 rows character LCD module with HD44780 equivalent controller. It can easily be controlled by an MCU device such as Arduino or Raspberry Pi. Our product package already comes with IIC/I2C Serial Interface Adapter Board which is a great package for your Arduino projects. This LCD is commonly used in copiers, fax machines, laser printers, industrial test equipment, networking equipment such as routers and storage devices. 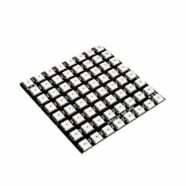 It can also be used in any embedded systems, an industrial device, security, medical and hand-held equipment, but not limited to. IIC/I2C Serial Interface Adapter Board is a fantastic board for Arduino based project. 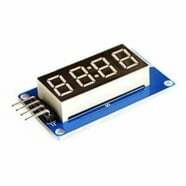 It can be connected to a standard HD44780 compatible 16×2 or 20×4 Character Display Module that supports 4-bit mode. 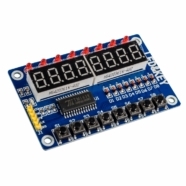 It has a PCF8574 I2C chip that converts I2C serial data to parallel data for the LCD Display. An Arduino control board has limited IO ports, which may not always be enough when a lot of sensors, SD cards, or relay modules are connected. 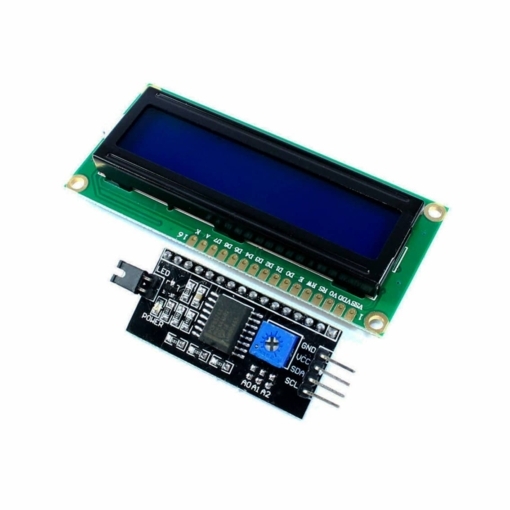 With this I2C interface module, you will be able to realise data display with only two wires. With many examples on the Internet for using this board with Arduino, you can definitely make your next project stand out. 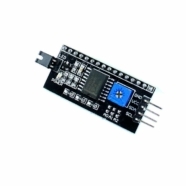 The I2C is 0x3F by default, but this can be changed via a solder jumper provided on the board. This allows up to 3 LCD displays to be controlled via a single I2C bus, which means less cost for your project.